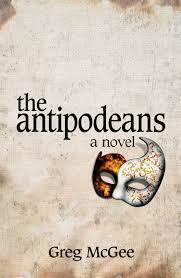 There is much about The Antipodeans that I liked – the intricacies of the politics and loyalties in occupied Italy during World War 2 – and the very human experiences of young New Zealanders who find themselves enmeshed in them. It opens in the present day with Clare escorting her ailing father to Venice, where he hopes to reunite, and gain peace, with friends of his youth – a generation after the events of the war. So the novel deals with three generations, and for some reason that was one generation too much for me. I enjoyed Harry – who ends up relishing the milieu of guerilla warfare and who struggles after the war, and young Joe who just wants to go home – or does he? And I was interested in Bruce whose past is revealed to his daughter when he reunites with his old rugby buddies and we hear his story. But having Clare add in the current Auckland real estate environment, and quantum physics via the slightly unbelievable character of Renzo, also the love interest, didn’t work for me. But others might find this novel more cohesive that I did.